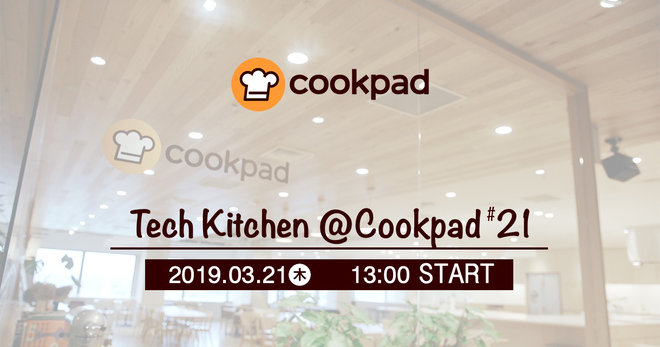 We invite you to Cookpad Tech Kitchen to hear about Cookpad's recent developments in technology, in the Cookpad Office Kitchen. This time, the Smart Kitchen Team, the Media Product Globalization Team and the Research and Development Team from Cookpad Japan and Cookpad Global HQ in Bristol, UK will present their latest achievements. The Cookpad Office is on the 12th floor of the Yebisu Garden Place Tower, 10 minute walk from Ebisu station. Please bring your business card (meishi), since we'll be collecting them at the entrance. Attendance will be selected via lottery by March 19th. It's okay to attend only the presentations you're most interested in. If there are many attendees, we may ask you to stand during the presentation. We will be serving light snacks and soft drinks during the break. Please don't come only for food and drinks! The talks will be fun too! No need to bring laptops. If you can't make it, please cancel, so others can join the event. Misha is an experienced researcher at Cookpad Global R&D with a murky past of working on HR and Advertising products at Amazon. He enjoys cooking, digging into math formulas and cross-country skiing. So if you see a person standing on skis in the middle of the road under the scorching English sun, reading a book and carrying a grocery bag, that’s him. Ryan from Cookpad Global R&D is a father of two with previous experience working in and building research teams within Defence, Aerospace and National Security. His hobbies include cooking, climbing, board games and patiently waiting to lead the robot uprising. Leszek Rybicki works on image-related technologies at the Tokyo R&D department. He got through university with a second-hand Apple iBook G3 running Linux. Twitter: @lunardog, Github: lunardog. lunardog published Cookpad Tech Kitchen #21 Show-and-Tell. Cookpad Tech Kitchen #21 Show-and-Tell has been published! I joined Cookpad Tech Kitchen #21 Show-and-Tell!